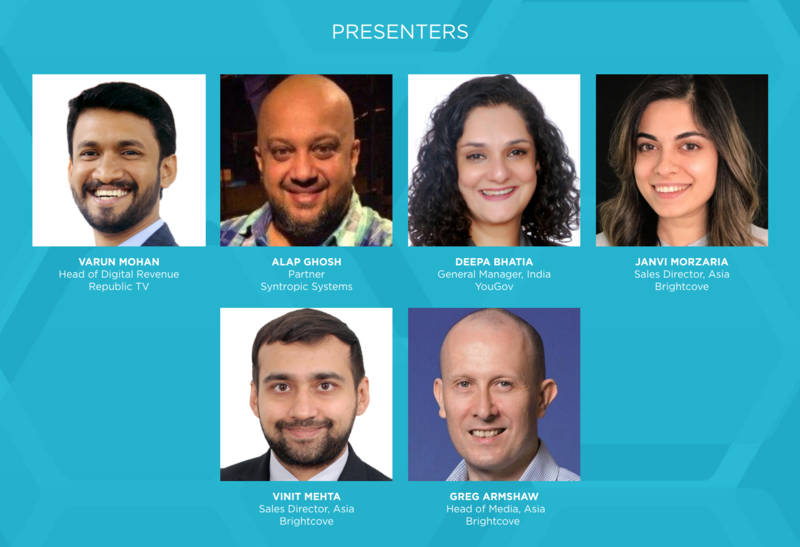 Brightcove presents India Video Streaming Forum 2018 featuring “The Future of TV and Online Video - OTT Video Trends and Insights 2018”. Learn about the strategies for media companies and advertisers around trending topics in OTT, Live Streaming, OTT Advertising and Brand Safety. For media companies, attracting viewers is just one part of the equation. Understanding their expectations when it comes the viewing experiences, payment preferences, how peer recommendations impact content consumption and spotting the churning points - are all crucial parts of the formula. Learn more as we feature special YouGov OTT research covering the Indian market. For advertisers, will 2018 be the year that OTT services saves digital advertising? Advertisers know that OTT offers a greater ad targeting capability to deliver the right ad to the right consumer, but there are many hurdles to overcomes to maximise the ad potential. Issues like brand safety spooked a lot of major global brands and publishers in 2017, and still needs to be resolved. Can the familiar environment of quality TV content combined with an addressable audience excite the agency ad buyers of India? Do advertisers know if OTT audiences are more or less tolerant to ads? Ms. Deepa Bhatia, General Manager of India at YouGov, shares insights on OTT subscriptions, ads and the churning point based on YouGov's latest market research. In his presentation, audience can learn more about consumers preferences for OTT streaming services, how tolerant are they to ads and the factors that would make them churn.